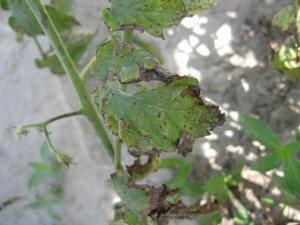 Bacterial leaf spot is caused by four species of Xanthomonas. 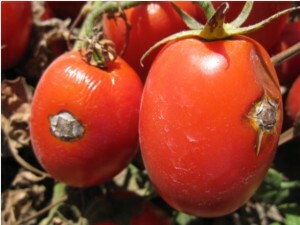 It infects all varieties of tomato and in the Midwest it causes moderate to severe damage on tomato fruit making then non-marketable due to quality issues. 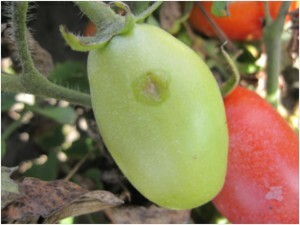 Symptoms include leaf lesions with yellowing and large crusty spots on the fruit. 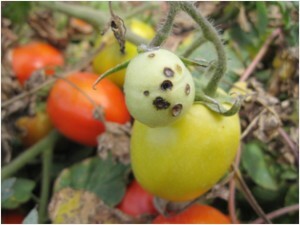 An integrated approach to disease management is essential to minimizing disease risk. 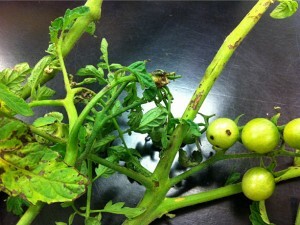 Four species of Xanthomonas cause bacterial leaf spot of tomato. 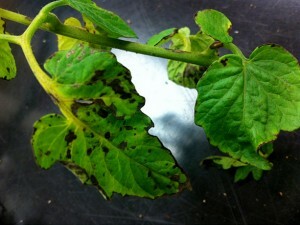 Images of Bacterial Leaf Spot on Tomatoes.